2 Bedroom Terraced House For Sale in Sheffield for Guide Price £140,000. Only upon internal inspection can this UNIQUE, Stone built, Two bedroom terraced property be fully appreciated. Presented over four floors, the property benefits from uPVC double glazing & gas central heating throughout, located in the highly popular and convenient residential area of Handsworth, the property is ideally placed for local shops, schools, amenities and transport links to the M1 motorway, City Centre and Meadowhall. In brief the property comprises of; To the ground floor the entrance hallway leads into a beautifully presented, generously spacious through lounge boasting parquet flooring and gas feature fireplace. 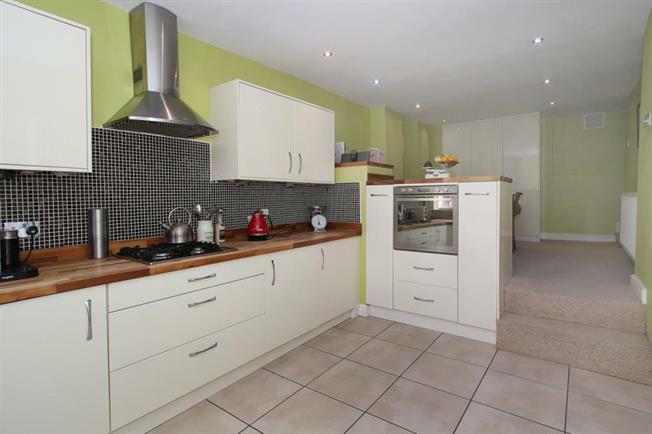 Stairs provide access into the basement of the property where there is an open plan, modern fitted Dining kitchen comprising of a range of wall and base units with roll top work surfaces, integrated electric oven with gas hob and extractor fan. There is a further cloakroom, utility cupboard and access to the rear of the property. To the first floor is the second double bedroom with two wardrobes facilities and an OUSTANDING, larger than average four piece family bathroom suite with separate shower cubicle. To the second floor is the master bedroom with fitted wardrobes and Velux window. To the rear of the property is an enclosed garden. Ideally suited to a first time buyer, couple or family an early viewing is highly recommended on this AMAZING home!